For Caryn August, helping people is a passion. From the very young age of five years old, Caryn learned that every person has a unique and personal story to tell. As she would play in her small town, upstate New York neighborhood, Caryn made friends with all of the neighbors and would often sit and visit. She found that she loved their one on one time together and found their stories fascinating. As she grew up though, she realized that not all stories were filled with happy memories. When it came time to go off to college, the decision to get her degree in Social Work just made sense. Shortly after graduating from Syracuse University with her Bachelor of Social Work degree, Caryn married and had a beautiful baby boy. When her son was only three, Caryn’s husband passed away. Suddenly she was faced with providing for and raising a child by herself. The years that followed offered numerous challenges and obstacles that tested Caryn’s faith, inner strength, and personal fortitude as a single mom. Having made it through those sometimes dark days, Caryn feels an affinity towards those going through difficult times. Drawing on her own personal experiences, she is able to offer a unique perspective to those facing life’s challenges. With immense gratitude, Caryn will tell you that she feels incredibly blessed to have had so many incredible women in her life who have inspired and helped her along the way. In that spirit she aspires to be both an example for her daughter and to give back to others. 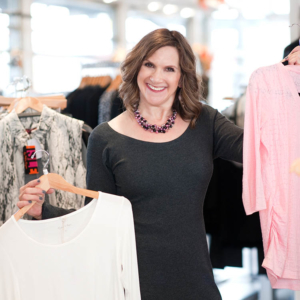 Today, as the leading Image Coach in the Colorado Springs area, Caryn pays it forward as she works one-on-one or in small groups with women helping them to find their own personal style, increase their confidence and self-esteem. Her compassionate, warm and inviting personality allows clients to feel at ease as they work through the process of improving their look and self-confidence. When you are ready to make a change in your life, you can count on Caryn to help you every step of the way. For more information, contact Caryn today. Special THANK YOU!! 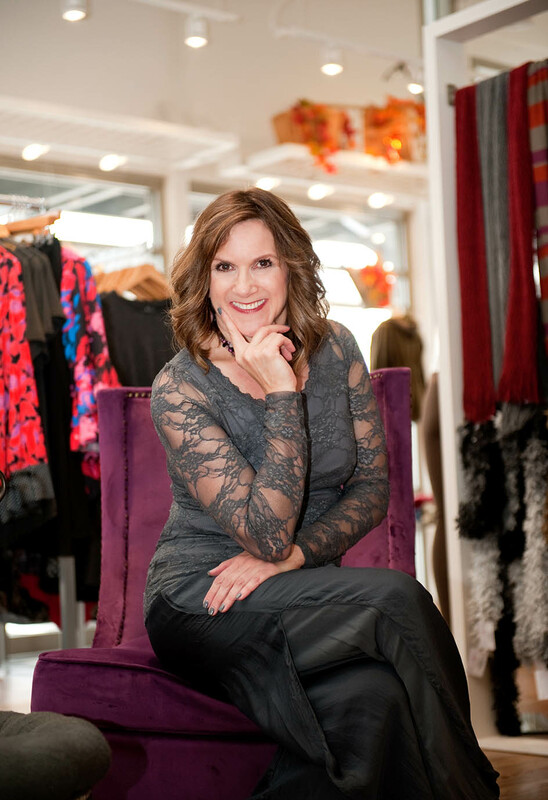 to Jeanne Barta, of Jeanne B’s Boutique and her team for allowing us to use her beautiful retail space for our photo shoot! Please visit her website and store in Colorado Springs, CO!